Why humming? Let us explain. Between the two of us, we’ve been in the field of using sound as a therapeutic and transformative modality for over 50 years We know through our experience and research that everyone has the ability to use their own self-created sounds to vibrate and resonate their body/mind/spirit. But how, we wondered, could we encourage people to know that they, too, could do this. We asked ourselves the question: What is the simplest sound that everyone can make? The answer immediately came to us—humming. Everyone from infants to the elderly can hum. It’s something that no one judges himself or herself about. The question then emerged—was there scientific evidence that humming had therapeutic ability? Although we knew the answer, in order for people to take the activity of humming seriously, we had to produce material that showed how important and beneficial it was. 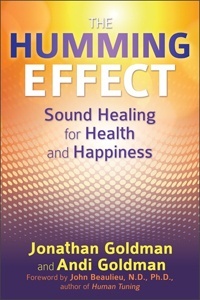 In service to that goal, we wrote a book called THE HUMMING EFFECT. 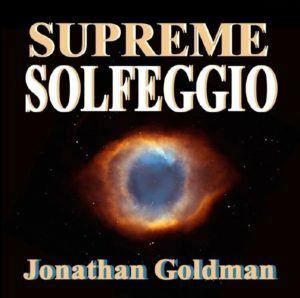 It is, to our knowledge, the first professionally published book on the subject of humming. In our book we provide educational material as well as exercises and techniques to utilize humming as a means of promoting health and happiness. In fact, incorporating a practice of humming for just five minutes a day of can literally be life changing. That is why we say humming is the “simplest sound and yet the most profound”. Increased oxygen in the cells—enhancing health and wellness. Release of oxytocin –the “love” hormone, creating trust between us. Thus, among other things, humming can be a very powerful tool for inducing almost instant relaxation. By producing melatonin, humming can help us sleep. Humming increases Nitric Oxide, which widens our blood vessels and has been found to be very important for the treatment of coronary disease. Data has shown it’s also great to help if you’ve got blocked sinuses. These are just a few of the extraordinary benefits of the power of humming. How does humming work? One way is through vibro-acoustics. Vibro-acoustics are sounds that go into our body and vibrate in us on a cellular level. Sounds that are self-created are frequently the best sounds to create an internal massage, affecting our different glands, organs and bodily systems. Of all the self-created sounds we make, the most powerful for vibro- acoustic resonance is humming. This may be one of the reasons why humming is so powerful. As we continued our investigation into humming, we found that in many different traditions, it was considered one of the original sounds of creation. There are various sources, including interpretations of “The Yoga Sutras” by Pantajali’s (written prior to 400 CE), that site the humming of prana as being the original sound of creation, and that this humming was then given a name and that name was “Om”. In addition, in the Hindu tradition, there is “Brahmari Pranayama”, an advanced Shabd Yoga technique that incorporates deep breathing with humming. We’ve included a chapter on this in THE HUMMING EFFECT, as well as exercises and techniques for readers to experience this powerful and transformative practice. In our study of humming, we discovered the potential of humming as a means of assisting neurological disorders such as strokes and Alzheimer’s. While research on this is still at very rudimentary stages, we have received many anecdotal stories from people who have used humming to assist these conditions. We’ve devoted a chapter of THE HUMMING EFFECT to this subject, because we feel it is so important and we are certain that sometime soon, there will be proof positive of this beneficial aspect of humming. We ask that you try your own experience with humming. Everyone hums, but we have found that putting our attention and our intention on the hum when we create it is something that is, for most people, quite rare. Yet, the effects of this “conscious humming” can be quite extraordinary. In order to experience “conscious humming”, all that’s necessary is for you to find a place where you can sit comfortably and hum without disturbing anyone or being disturbed yourself. Sit with you back straight and your eyes closed and take a few nice deep breaths, and then at first, simply hum, becoming aware of where the sound is resonating in your body. Before you begin first check yourself out and note how you are feeling. Then hum for five minutes. Afterwards, allow yourself another few minutes to assimilate the experience you just had. Many find this extremely relaxing. Others find it a powerful way of meditation and being in the now. Others find different but equally extraordinary effects. Some have found that if they are experiencing discomfort, they can direct the sound into the area of the body that is ill at ease—with extraordinary results. We ourselves (as well as many others) have had headaches or sore throats disappear once the area of discomfort has been resonated with our own self-created sound. In THE HUMMING EFFECT, we provide in-depth information as well as many various exercises and techniques to utilize humming as a means of promoting health and happiness. Incorporating a practice of humming for five minutes a day of can literally be life changing. That is why we repeat: humming is the “simplest sound and yet the most profound”! We invite those of you interested in experiencing the power of the hum to first and foremost try the above practice of humming just once. If you feel any sort of effect from it, continue. 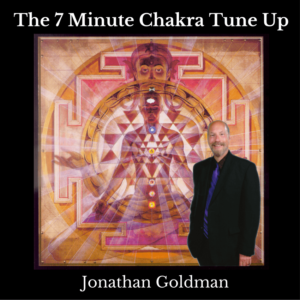 Just a few minutes of humming can literally create tremendous beneficial effects that will truly enhance your health and happiness. In addition, we’d also suggest that you investigate THE HUMMING EFFECT. We’ve had incredible feedback from the scientific and spiritual communities, as well as from mainstream audiences about the importance of this book. We are truly grateful to be able to share this material with you. Happy Humming!